Do you ever see great piles of twigs in the local park, waiting for a chipper, or the line crews de-limbing roadside trees, and covet the twigs and branches for crafts? In many cases, as long as there is no danger to the public, the crews will be happy to allow you to take as much as you want - fill your boots! as the saying goes. You get your precious twigs home; then what? 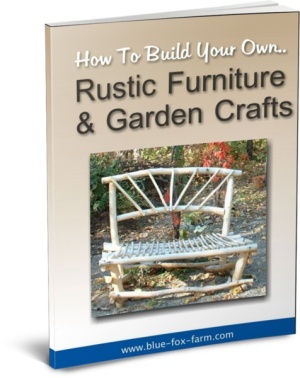 How can you learn about building these kinds of rustic garden crafts? And many more projects for your garden that are rustic, unique and fun. If you are crafty and can use a cordless drill, a hammer and have the ability to follow instructions, this book will give you the knowledge to make your very own unique twiggy accents for your landscaping to give it a rustic country appeal. Don't worry - it's an intuitive and easy craft, and using this e-book to show you how it won't be a difficult or time consuming.